Hi there. It's been so quiet here. Everyone seems to have gone on holiday and we're off next week as well. Can't wait. Been rather lazy on the crafting front but I thought I'd get one layout done at least. My helper went home in April for the month to visit her family and also got married. She's from Indonesia, so it was very interesting to see the gorgeous wedding outfits that she wore. She's back with us for a few more months before going home for good to start her new life. She's been with us for more than six years and it's going to be so sad to see her go as she has been like family to us. The least I could do was make a wedding layout for her. I still have a mini album to go for some of her other photos which I'll get around to after our holiday. I chose a pretty neutral background paper with just a few details in the corners. This one from Blue Fern studio was perfect to frame the photo. Isn't the photo amazing? The outfits, hair style and head gear are so colourful. I fussy cut some flowers to frame the photo and also added Wink of Stella to glitterize them. 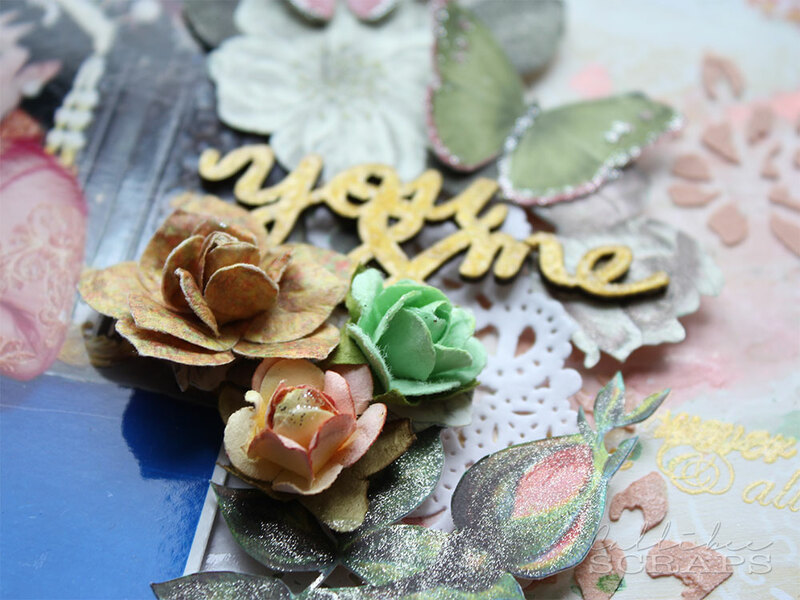 I added several layers of gold embossing powder on the wooden phrase as well. I got the large pink silk roses from a local haberdashery and thought they went well with the fussy cut paper roses. 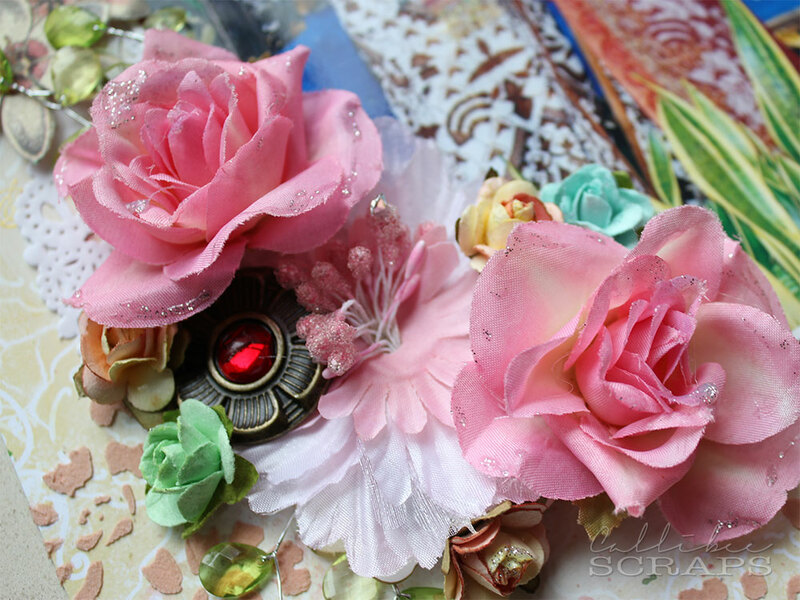 I added some smaller roses aroudn and also added a metal accent. I cut up a filigree chipboard frame and just used to the corners to frame the photo. 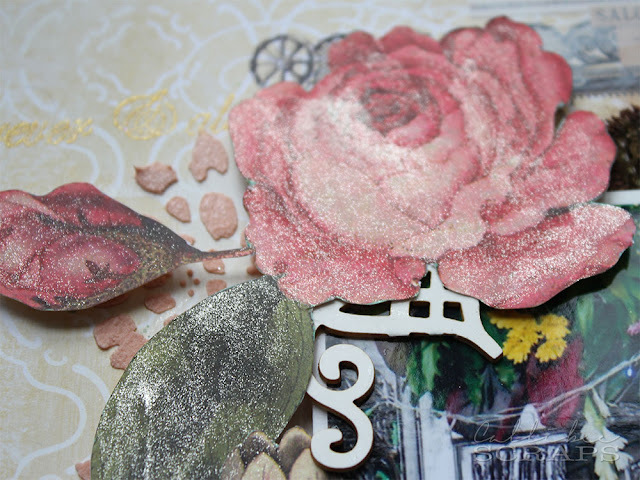 Before adding all the embellishments, I added a thin layer of white gesso on my paper. I then smeared green and pink inks with the "smooshing" technique. 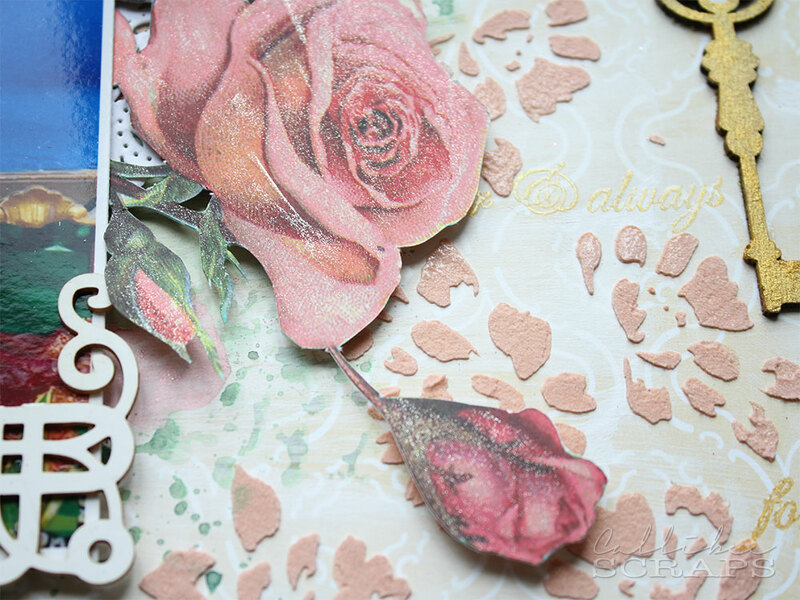 After that, I coloured some molding paste with bronze perfect pearls and stenciled through the flower pattern. I also added a lace border to balance the right hand side. 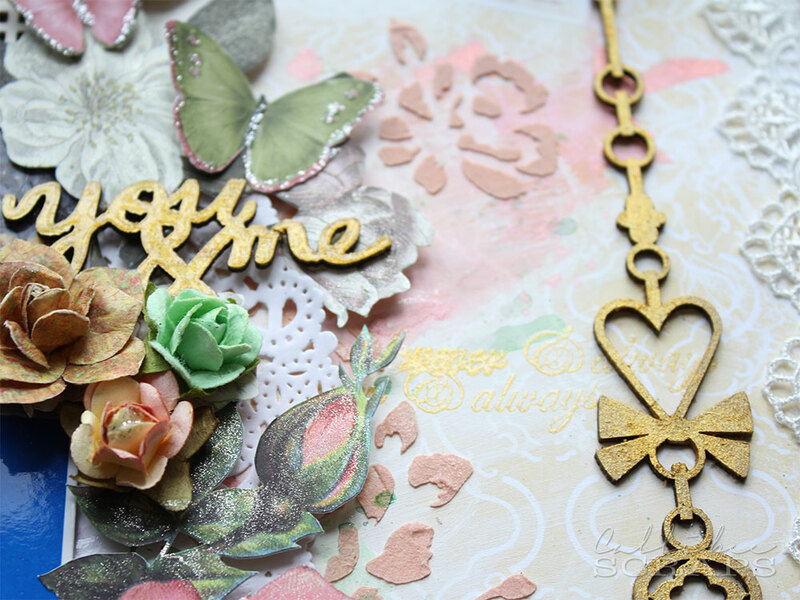 I also stamped the "forever & always" randomly in gold ink before adding clear embossing powder to add some dimension. To finish it off, I painted a gold chipboard key chain in gold and gold perfect pearls as a cute accent.